Watson's Painting & Waterproofing Company has been the area's leading interior painting service since 1996. Our professional, detail-oriented interior painting technicians can handle your next project on time and on budget. Trustworthy Technicians - Watson's Painting & Waterproofing Company has been painting interiors of houses and offices since 1996. No job is too small or too big, and you can count on our dependable technicians to get the job done right. 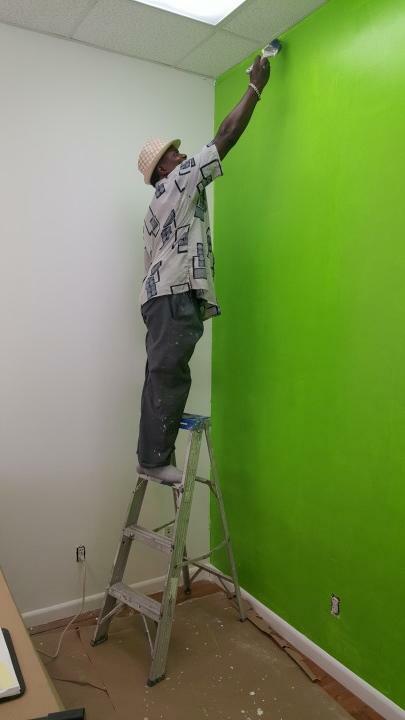 Watson's Painting & Waterproofing Company technicians are experienced in preparation, painting and proper clean up of all types of interior surfaces. Your home or business is in great hands with Watson's Painting & Waterproofing Company's experienced interior painting professionals. Best of all, when Watson's Painting & Waterproofing Company interior painters are on the job, you can trust that your home and your belongings are being cared for with respect. Affordability - We take great pride in offering top quality services at a value to our customers. Our interior painters will complete your job on time and on budget. Find out today how affordable Watson's Painting & Waterproofing Company's interior painting service really is. Call today for a free quote. Satisfaction Guaranteed - Watson's Painting & Waterproofing Company has built its reputation one satisfied customer at a time. We are confident that you will be happy with our service from start to finish. To prove it, your interior painting job will be completed to your satisfaction. Our goal is your happiness with your current interior painting job, so that you call us for your next interior painting job.